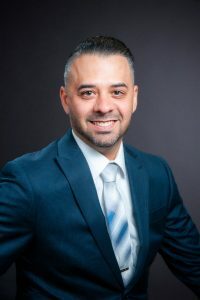 Ricardo Rodriguez is a Case Manager at Hodson P.I., LLC. He assists Justin Hodson with day to day operations. Mr. Rodriguez is a highly qualified investigator. He is independently licensed with the State of California as a licensed private investigator. Further, he has years of experience in complex claims investigation, fraud and insurance investigations, and asset protection. He is an expert in surveillance and case management. Before being recruited by Hodson, he worked for other claims investigations firms conducting complex investigations and managing 15+ investigators. Rodriquez was also at one of the Fortune Top 10 companies in American managing complex investigations. Rodriguez has a bachelor’s in criminal justice with an emphasis on Sociology from San Diego State University. In his off time, he plays in softball tournaments and spends time with his wife and two children.